“Further Than “Lontano””(2005) is a multi channel sound installation work with live performances based on Kyo Ichinose’s album “Lontano”. Kyo Ichinose, whose second album ‘lontano’ was released in November 2004, presented a sound installation employing a multi-speaker system with eight channels that takes the audience to a world far away from ‘lontano’. 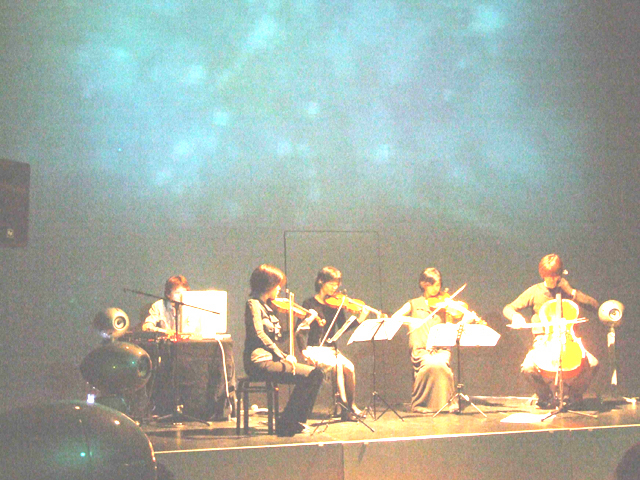 As well, Kyo Ichinose and the lontano string quartet gave a live performance. A unique soundscape emerged at the Art Square.